I know what you’re thinking, I’m not Sheldon, but just roll with it. 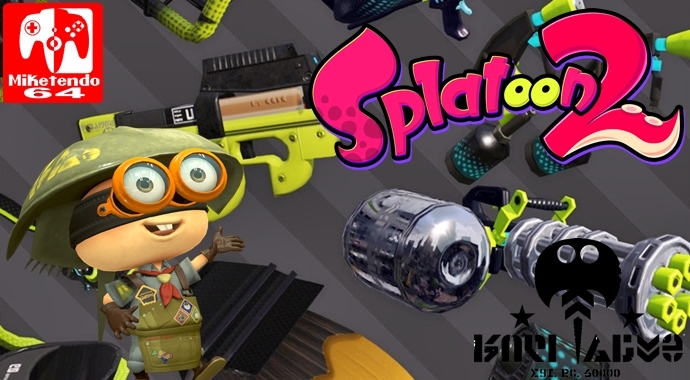 This is Miketendo64’s new Ammo Knights Newsletter, dedicated to covering upcoming weaponry and specials for Splatoon 2 and once again, Friday has arrived, along with the news of another weapon. We’ve received new intel that the Range Blaster will be available at Ammo Knights from tomorrow, Saturday 21st October at 1pm. This Blaster-type weapon has a maximised firing range, while still retaining strong enough firepower to make a “one-shot KO” with a direct hit. However, compared to other Blasters it has a low firing rate, so be careful not to get caught off guard. It comes with the Suction Bomb sub and the Ink Storm special. I’ve never been good with the blasters unfortunately. I need to diversify weapons I can use!